I'm always on the quest for good hair products. I need products to tame my frizzy hair and these do the trick. I really have enjoyed the ALTERNA BAMBOO Smooth line. I've thoroughly enjoyed the shine mist and serums. 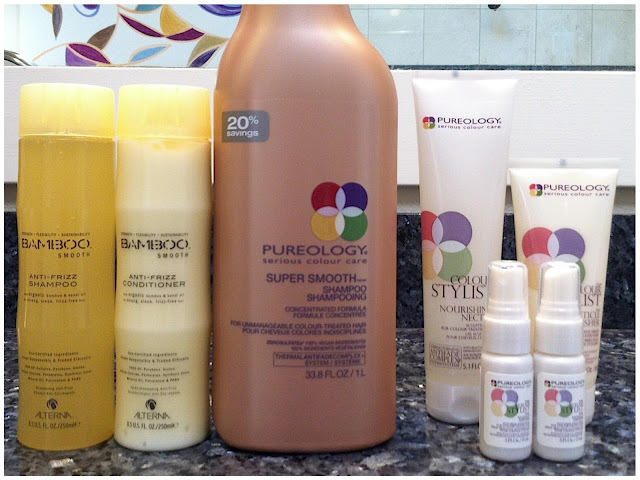 I've used PUREOLOGY off and on and always seem to come back to their products. They are made with plant extracts and 100% Vegan.